2016, HKU Press, 460 pp. Description: The Hong Kong Basic Law is the constitutional document which sets out the general policies and system of government for Hong Kong under the “one country, two systems” formula. It promises Hong Kong a high degree of autonomy, seeks to preserve a separate common law system with an independent judiciary, and guarantees a long list of rights and freedoms. 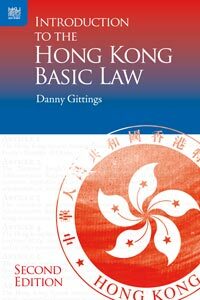 The only introductory text on this topic, Introduction to the Hong Kong Basic Law provides a highly readable starting point to understanding the important issues shaping Hong Kong’s future. This book traces the origins of the Hong Kong Basic Law and analyses its content, especially in relation to Hong Kong’s political system, the judiciary, and human rights. It is required reading for students on a wide range of courses in law, politics, and other disciplines, from sub-degree through to undergraduate and postgraduate level as well as professional examinations. The book also appeals to a wider audience, enabling general interest readers with no prior knowledge of the subject to easily understand how Hong Kong is being run under Chinese sovereignty. The second edition has been updated thoroughly to discuss important new developments, including the implications of the mass street protests known as the Umbrella Movement, and adds a new concluding chapter on the future of “one country, two systems”.